Just a quick intro as this is hopefully a new weekly feature on WIHT (well I’ll TRY and do it every week). I eat out ridiculously often as you’ll already know if you follow me on Instagram and I always get a great reaction from my photos, so I thought it would be nice to occasionally write about the restaurants I go to on my Saturday post. There’s so many amazing restaurants in London and my boyfriend in I are always up for trying the new ones that pop up here and there. So this will be the space for me to make you drool over photos and let you know my thoughts. If it’s not a restaurant review it’ll be something food related. I’m no food expert, but I sure do love to eat! 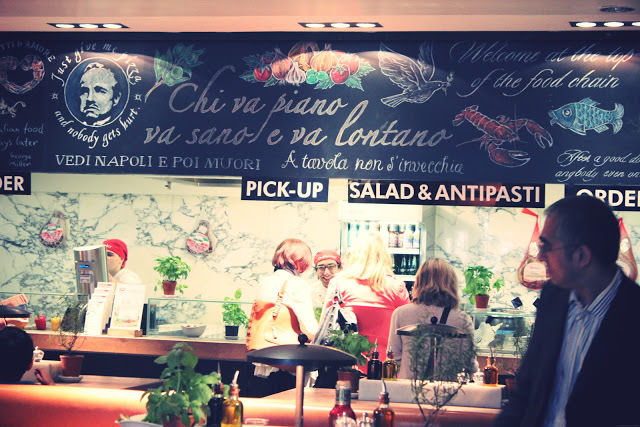 Vapiano is situated directly behind Topshop on Oxford Circus which makes it great for tourists. It’s open for lunch and dinner but I would personally recommend it for lunch. It’s an Italian restaurant that offers Pizza, Pasta and Antipasti. The restaurant itself is really big and spaced over 2 floors. The tables are high up with tall benches that you can share which makes it seem good for big groups. There’s also an area downstairs with sofas for a more relaxed meal. I love that all the tables have a basil and rosemary plant on it so you can take as much as you’d like, it’s a really nice touch. There’s also a self service tap water and glasses which is good for people like me (more tap water please!). When you enter the restaurant you’re greeted by a hostess who gives each person their own Vapiano ‘credit card’ and this is basically what you use to buy and pay for your food. 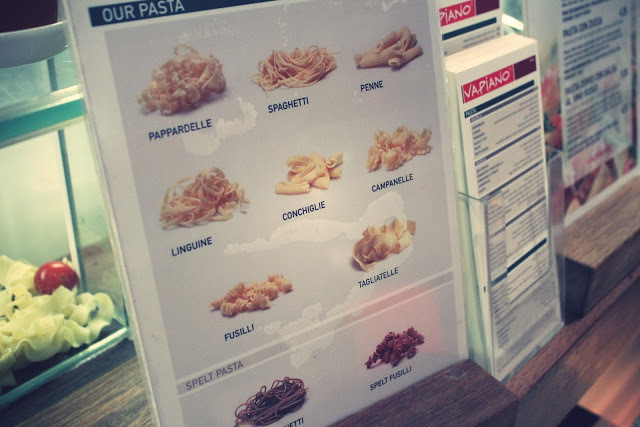 It’s a buffet style restaurant so you go up to either the pasta or pizza counter to order your food. The pizzas take a little longer so after ordering you’re given a buzzer that will let you know when to go and collect your food. 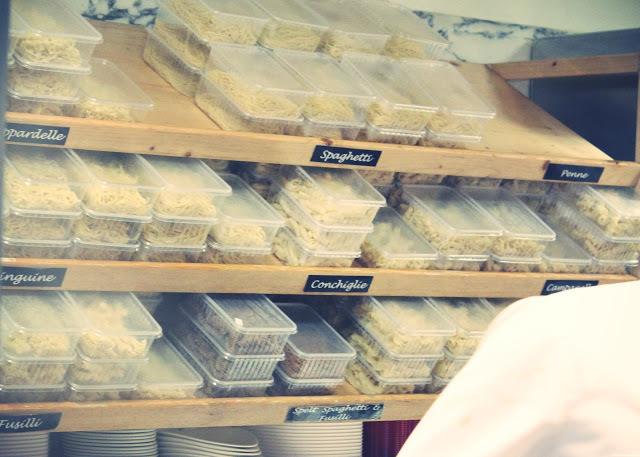 For the pasta though, you stand and wait whilst they very quickly cook your pasta in the hot woks. You’re able to chose your pasta type first and then your sauce and both the pasta and sauces are all fresh. The food is really good. 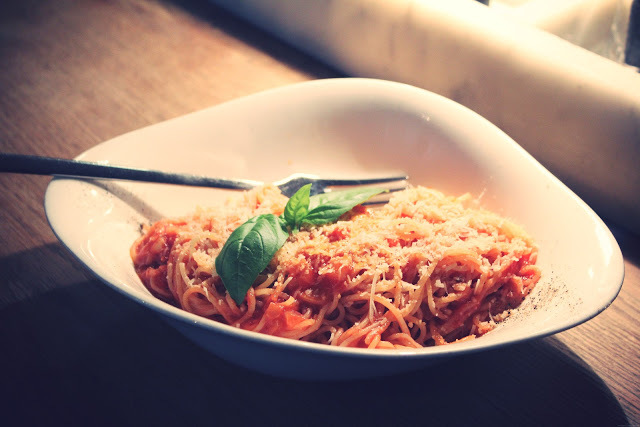 I feel like when it comes to Italian I kind of know my stuff, not for any particular reason, just because I eat it A LOT and always have since I was little. After ordering your food the chefs will ask you to scan your card on the till and this will add the amount for your meal onto it. 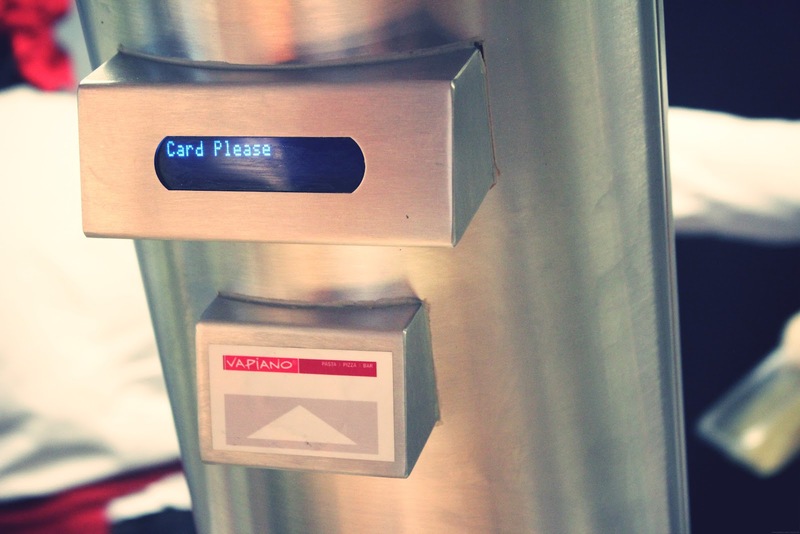 There are also a few bars that you can go up to order your drinks and again scan your card. At the end of your meal you take the card to the till and pay the total. The reason I say it’s better for lunch is because depending on what everyone in your group decides to eat, it can be a bit of an antisocial place to eat. If it’s busy you’ll need someone to stay behind to hold the table and if some people get pizzas they’ll be waiting longer, so if you go in a big group you can easily end up all eating at different times which is a bit annoying. I went with Rich on a quiet Sunday and we both had pasta so it was fine, but if you do go, bear that in mind. I’d go back again. 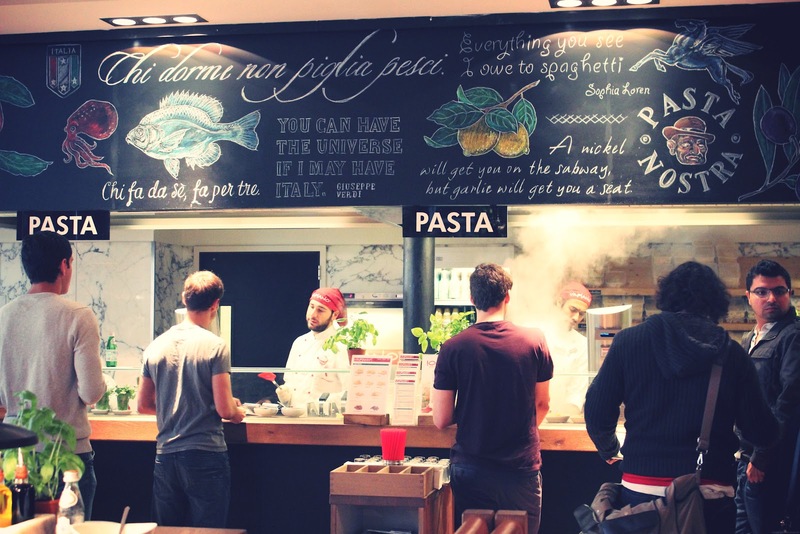 Mainly because of it’s handy location but also because the pasta was great and I enjoyed the relaxing atmosphere. 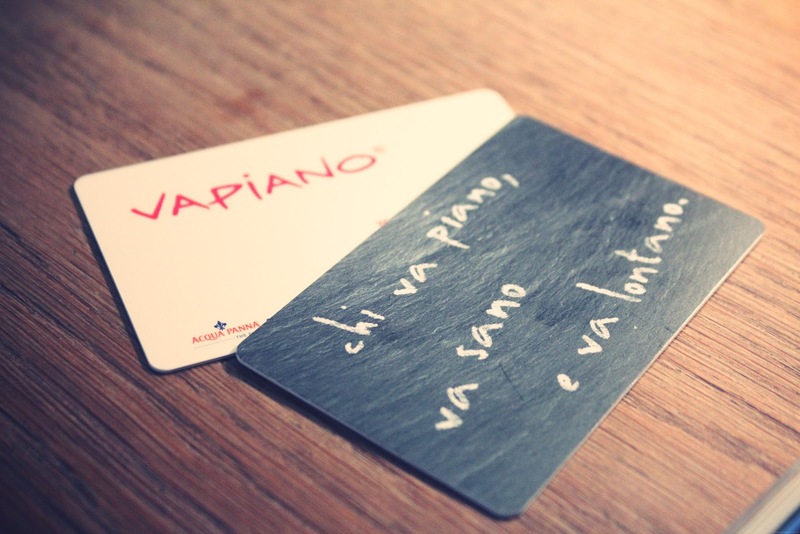 Have you ever been to Vapiano? 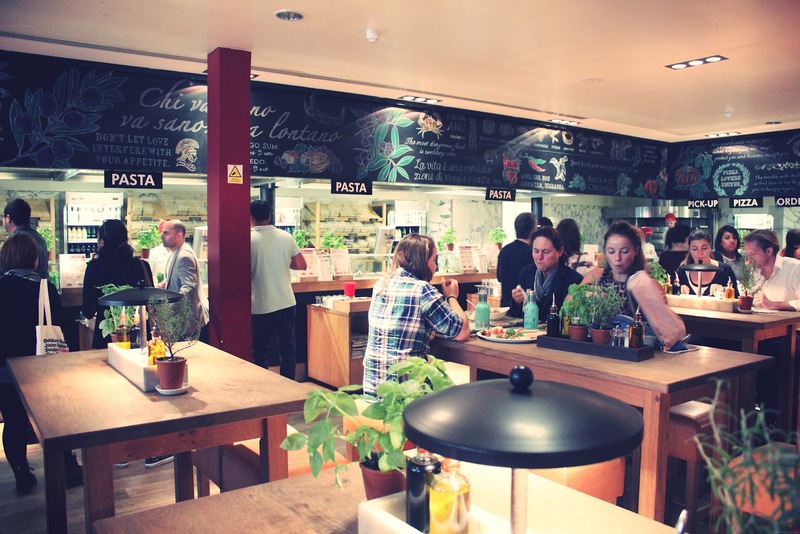 Will you try it next time you’re in the Oxford Circus area?